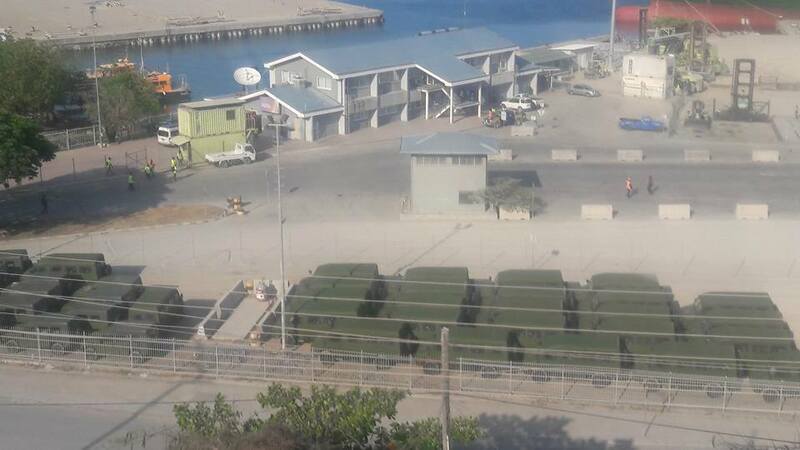 40 military vehicles gifted to Papua New Guinea by China have sat on Port Moresby's main wharf for a month because the Defence Force can't afford to pay import tax, Radio New Zealand reports. The vehicles, which include buses and smaller one-tonne vehicles, arrived in the country in early December, but haven't left the wharf because they're awaiting Customs clearance. The Defence Force acting chief of staff, Colonel Ray Numa, says the military had hoped the Customs Service would waive the tax because the vehicles were gifts to the government. But Customs has refused to waive tax, and Colonel Numa says this means the Defence Force will have to find the money -- although he wouldn't say how much. Colonel Numa told the media that the Defence Force doesn't know whether the vehicles are new or in running order, but they appear to be new because of their plastic covering.